Abstract: Background: Along with increased survival in breast cancer has come a demand for quality breast cancer options at the community level, as well as a demand by patients for better community access. The current analysis was designed to examine this trend. Methods: A retrospective review was performed of breast cancer patients treated at Community Cancer Centers and registered in the American College of Surgeons National Cancer Database Benchmark Reports between 2003 and 2013. Data were compared regarding stage, age, race, surgery performed, and comorbidities. Data were further stratified into early-disease (stage 0, I, II) and late-disease (stage III, IV) cohorts. Results: The number of breast cancer cases initially treated at the community level increased from 2003 to 2013: 18,128 versus 24,729, respectively. Early disease represented 85.5 % of cases recorded in 2003 versus 87.1 % in 2013. Also, 36.5 % of patients from 2003 were either younger than 40 or older than 70 years of age, as opposed to 33.2 % in 2013. Overall, 85.3 % of patients in 2003 and 80.8 % of patients in 2013 were Caucasian. There was no significant difference in the percentage of patients offered breast conservation surgery between 2003 and 2013: 62.1 versus 62.6 %, respectively. When stratified by stage, this relationship remained nonsignificant for early-stage disease but differed significantly for late-stage disease: 40.7 % of patients with late disease in 2003 versus 46.8 % in 2013. Finally, 3.8 % of patients in 2013 had two or more comorbidities versus 2.2 % in 2003. Discussion: The biggest change in breast cancer treatment at the community level over the past 10 years has been a shift toward a greater number of advanced cancer patients offered breast conservation. This indicates a clear need for aggressive breast cancer care at the community level. Equally important, there is a need for a concerted educational effort—directed at patients and caregivers alike—to identify options and assure such equal, quality, local care. Learning Objectives: The participant shall be able to define the trend toward increasing community provision of advanced breast cancer care over the past decade. The participant shall also be able to identify at least four ways in which the breast cancer population treated at the community level has shifted over the same 10-year time period. References: Keating, N.L., Kouri, E.M., He, Y., Freedman, R.A., Volya, R., & Zaslavsky, A.M. (2016) Location isn’t everything: Proximity, hospital characteristics, choice of hospital, and disparities for breast cancer surgery patients. Health Serv Res doi: 10.1111 (Epub ahead of print). Noel, L., Connors, S.K., Goodman, M.S., Gehlert, S. (2015) Improving breast cancer services for African-American women living in St. Louis. Breast Cancer Res Treat 154(1): 5-12. Pezzin, L.E., Laud, P., Yen, T.W., Neuner, J., & Nattinger, A.B. (2015) Reexamining the relationship of breast cancer hospital and surgical volume to mortality: An instrumental variable analysis. Med Care 53(12): 1033-9. Abstract: Background: Cancer-related morbidity and mortality have recently increased in Bangladesh. However, cancer prevention knowledge and perception in the general population remain unknown. Methods: We conducted a cross-sectional survey from December 2015 to February 2016 on a group of educated Bangladeshi people to evaluate their lifestyle practices and perception of well-known cancer risk factors such as tobacco chewing/smoking, physical inactivity/obesity, alcohol consumption, poor oral hygiene, cancer causing viral infections, and consumption of non-food grade additives/preservatives. Results: Of a total of 253 respondents, only 38 % of them knew (know vs. do not know: 37.95 % (n = 96) vs. 62.05 % (n = 157). Usefulness: Our study results suggest that cancer prevention knowledge and practices are quite low in Bangladesh. A comprehensive cancer education program is therefore urgently needed to enhance the cancer prevention awareness in the general population which will ultimately reduce the cancer burden in Bangladesh. Learning Objectives: (1) The participants will get an overview on the knowledge and perception of preventable cancer in a developing country. (2) The participants will get an idea to design and implement a pragmatic cancer education program applicable for the developing countries. (3) The participants can share their valuable knowledge and experience about the cancer education program in resource limited countries. References: Noronha V, Tsomo U, Jamshed A, Hai MA, Wattegama S, Baral RP, et al. 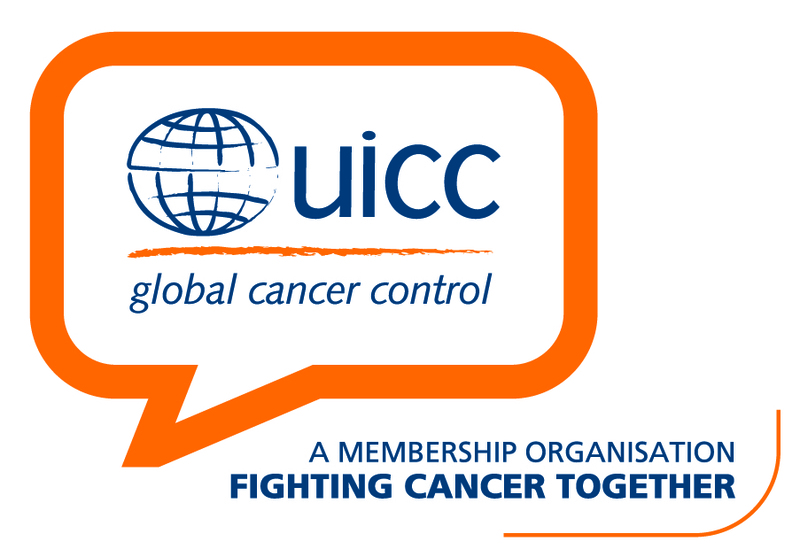 A fresh look at oncology facts on south central Asia and SAARC countries. South Asian J Cancer 2012;1:14. National Cancer Control Strategy and Plan of Action 2009-2015. Directorate General of Health Services. Ministry of Health and Family Welfare, Bangladesh. [Last accessed on 2016 March 02]. Available from: http://www.ban.searo.who.int/LinkFiles/Publication_Cancer_Strategy.pdf. Uddin AK, Khan ZJ, Islam J, Mahmud AM. Cancer care scenario in Bangladesh South Asian. J Cancer.2013; 2:102–4. Hussain SMA. Comprehensive update on cancer scenario of Bangladesh. South Asian Journal of Cancer. 2013;2(4):279-284. doi:10.4103/2278-330X.119901. Hussain SA, Sullivan R. Cancer Control in Bangladesh. Japanese Journal of Clinical Oncology. 2013;43(12):1159-1169. doi:10.1093/jjco/hyt140. Abstract: Failure to recognize the barriers that impact minority participation in cancer clinical trials poses a threat to cancer clinical trial quality and generalization; however, there lacks a coherent conceptual framework that would allow for a comprehensive understanding on these barriers. Additionally, there lacks an interdisciplinary approach to address this phenomenon. This paper provides insights from Ansley Coale and Roy Treadway’s Fertility Transition Theory to explain barriers to minority participation in cancer clinical trials as well as how to address these barriers. An extensive literature review was conducted using the keywords cancer fatalism minorities, minority accrual cancer trials, minority participation cancer trials, and cancer trial disparities. Results of this literature review provide a comprehensive overview on how cancer clinical trials often fail to be within the calculus of conscious choice due to a cancer fatalism perspective held by many minority populations, are not perceived as advantageous as a result of mistrust in the system, and are often disregarded due to the lack of techniques known and available to these vulnerable populations. There is an abundance of implications in addressing the cultural and ethnic barriers described by this application, and solutions to address the barriers of lack of awareness, mistrust, and economic factors include patient education at church or community-based health fairs, as well as mass media, word of mouth, and letters to private physicians; increased minority staff and involvement of minority community representative, as well as more commitment, honest, and patience; and reimbursement for travel to and from study site, as well as more accessible study. It is hopeful that more insight has been gained on barriers to minority participation in cancer clinical trials due to this interdisciplinary approach and the urgent need of minority accrual onto these trials is prioritized among researchers and clinicians. Learning Objectives: The participant shall be able to recognize the importance of addressing minority participation in cancer clinical trials, identify an interdisciplinary approach to cancer education, distinguish at least two cultural and ethnic barriers impacting minority participation to cancer clinical trials, and identify how to address at least two of these barriers. References: Ramírez, A. S., Rutten, L. J. F., Oh, A., Vengoechea, B. L., Moser, R. P., Vanderpool, R. C., & Hesse, B. W. (2013). Perceptions of cancer controllability and cancer risk knowledge: the moderating role of race, ethnicity, and acculturation. Journal of Cancer Education, 28(2), 254261. Somayaji, D., & Cloyes, K. G. (2015). Cancer fear and fatalism: how African American participants construct the role of research subject in relation to clinical cancer research. Cancer nursing, 38(2), 133-144. Abstract: Background: Leadership often plays a critical role in the success of an organization’s initiatives. Faith-based organizations frequently conduct health promotion programs for their members and communities. These activities, however, are executed with varying degrees of success. We describe the relationship between church leaders’ support—as perceived by lay community health advisor (CHA) interventionists—and implementation outcomes in Project Health through Early Awareness and Learning (HEAL), a cancer early detection implementation trial in 14 AfricanAmerican churches. Methods: Trained CHAs (N = 26) conducted group educational workshops on cancer early detection in their churches. Guided by the RE-AIM framework, we evaluated the extent to which CHAs’ perceptions of their pastor’s promotion of the intervention and pastor workshop attendance were associated with implementation outcomes including CHA promotion of the intervention, church member participation in the intervention, and initial sustainability of the intervention. Results: CHAs perceived that their pastors helped promote the intervention (M = 3.1/4, SD = 1.2), and pastors attended an average of 1.6/3 (SD = 1.2) workshops. CHAs used more techniques to recruit members to the workshops when they perceived that their pastors were more engaged in promoting the program (rs = .49, p = .08). Pastor attendance at the workshops was positively associated with church member overall study enrollment (rs = .50, p < .05). Pastor support was not associated with intervention adherence by CHAs, church members, or ongoing cancer educational activities. Discussion: Pastor support may be related to the receptivity of both lay health advisors as well as congregants to engage in a health promotion program in church settings. Learning Objectives: Learning objective 1: Describe the relationship between church leaders’ support as perceived by community health advisors of a health promotion program and implementation outcomes. Learning objective 2: Discuss future research directions in the area of leader support in church-based health education and promotion. References: Baruth M, Bopp M, Webb BL, Peterson JA. The Role and Influence of Faith Leaders on Health-Related Issues and Programs in their Congregation. J Relig Health. 2015 Oct;54(5):1747-59. Bopp, M., & Fallon, E. A. (2011). Individual and institutional influences on faith-based health and wellness programming. Health Education Research, 26, 1107– 1119. Holt CL, e. (2016). Translating evidence-based interventions for implementation: Experiences from Project HEAL in African American churches. Implement Sci. 2014 May 31;9:66. Abstract: Background/Purpose: Utah is a large state with vast and sparsely populated areas. More than 96% of the state is defined as either rural (<100 persons/sq. mi) or frontier (<7 persons/sq. mi). Unique health challenges exist in these populations considering great distances from academic health care centers, lack of ready access to care, and lack of education and available reliable health information resulting in poor cancer health outcomes, lower cancer screening rates, and higher rates of tobacco use. Since 1999, the Community Outreach and Prevention Education (COPE) at Huntsman Cancer Institute (HCI) has successfully disseminated information about cancer prevention to >1 million people. With funding from the National Cancer Institute, HCI has expanded COPE efforts to address known cancer disparities in four identified Utah health districts via a community health educator (CHE). The purpose of the project is to describe the first phase of the 3-year grant. Methods: The COPE program expansion targets Tooele, Tri-County, Central, and Southeastern Utah health districts. Each has poor rankings in cancer mortality, early detection, and health behaviors, with limited contact from HCI’s research, clinical, and education programs. The three phases of expansion include the following: year 1, partnership building and community health needs assessment (CHNA); year 2: evidence-based intervention strategies and program implementation; and year 3, program evaluation and sustainability. During year 1, knowledge, beliefs, intentions, and behaviors related to cancer prevention and screening were collected via stakeholder interviews, focus groups with community members, short surveys, and follow-up e-mail/telephone questionnaires. The CDCynergy Lite planning model and theory of planned behavior guided the CHNA instruments. Results/Findings: Rural data and outcomes from community members and key stakeholders will be shared. Discussion: The results of the CHNA will contribute to evidence-based intervention strategies and will be used to implement tailored programs to improve these needs and evaluate effectiveness. Results/findings from year 1 also provide opportunities for HCI researchers and other community organizations to expand their work in the targeted districts. Learning Objectives: The participant shall be able to create two instruments to gather information related to cancer health behaviors in rural and frontier populations. The participant shall be able to identify three barriers to the collection of information related to cancer health behaviors in rural and frontier populations. The participant shall be able to demonstrate how diverse community partnerships help health educators gain access to rural and frontier communities and understand cultural normal and dynamics. References: Anderson AE, Henry KA, Samadder NJ, Merrill RM, Kinney AY. Rural vs urban residence affects risk-appropriate colorectal cancer screening. Clin Gastroenterol Hepatol. 2013;11(5):526-533. Cole AM, Jackson JE, Doescher M. Urban-rural disparities in colorectal cancer screening: cross-sectional analysis of 19982005 data from the Centers for Disease Control’s Behavioral Risk Factor Surveillance Study. Cancer Med. 2012;1(3):350-356. Lane, A. J., & Martin, M. T. (2015). Ten Year Profile of a Best Practice Program Aimed at Rural Women. Online Journal of Rural Nursing and Health Care, 15(2).